The problem with my music collection is there is too much of it. I have hundreds of albums, thousands of tracks, all conveniently stored on my iPod. Trouble is I struggle to remember what I have, what might fit my current mood. I end up just playing a few over and over. If only my computer could act like a DJ and from its extensive knowledge of music and my collection, choose a playlist to suit - or even suggest new tracks I might like to buy. Turns out thanks to recent digital music research, and a new way to turn your music collection into a set of numbers, it probably can! To a computer, music is just data - a file in a particular format like MP3. it's all just 1s and 0s. How do you know what a particular MP3 file contains? MP3 is just sound data. Unlike a CD, a computer file doesn't have a label stuck on it to conveniently tell you what is in it. More to the point, how does my iPod know what track each file is to tell me on the screen? The computer equivalent of a sticky label is called 'metadata'. Metadata is more than just a substitute for a sticky label though. It is the thing that is driving the world-wide-web of the future - the semantic web. A new web, not just of words, but of meaning. The idea of metadata is simple - it's just data about data. What does that mean for your music collection? Well the actual data is the music: the sounds that Leona Lewis, 50 cent or Kylie Minogue actually record. That is what you are really interested in but it isn't much use wthout metadata to tell you what you have. The metadata is any data about the file. It tells you what it is: the name of the artist - Nickelback maybe - the name of the song - 'If Everyone Cared', the album it's from - 'All the Right Reasons', and so on. Metadata can be more than just the kind of information on an album cover though. It can also be information about the sound too. It is the thing that is driving the web of the future - the semantic web. What makes metadate powerful though is that it comes with meaning. You don't just know 'All the Right Reasons' is connected to the track, the metadata tells you that it's the album title, and not say the name of the group. Attaching meaning to data is what the semantic web is all about. At the moment search engines work without understanding. You give them some words and they search for webpages containing those words. That is why if you search for Queen you don't just get results about the rock band you were thinking of but also about the British Royal Family, films about monarchs, and even a university. The problem is the search engine doesn't know what you mean, or what the words in the pages it has found mean either. It just knows the same words appear. Metadata changes that. By giving meaning to the words, meaning to the music files it allows powerfull new tools to be built. Computers can start to behave much more intelligently. That is the aim of Mark Levy, Chris Sutton and Mark Sandler of the Department of Electronic Engineering at Queen Mary, University of London. As part of the research of the Centre for Digital Music [EXTERNAL], they have developed a system called SoundBite. It makes use of metadata to turn your computer into an intelligent personal DJ with a love of your music collection. The first thing SoundBite does is to get to know your collection. It goes through every track. Rather than listening to them though, it analyses them looking for features like how repetitive it is. It then pulls out a set of 40 numbers that describe different features of the music. These numbers can then be used to compare it to other tracks. Each gives some distinct meaning to the sound - similar sets of numbers imply similar tracks ... tracks for similar moods. Once SoundBite has come up with the numbers for every track, it is ready to create playlists. It now knows your music collection better than you do. As a result it knows you too! Choose a single track you can think of that does suit your mood - perhaps one you listen to all the time - and SoundBite will create a whole playlist of tracks to fit, probably including ones you'd forgotten you had. Soundbite isn't a finished product. 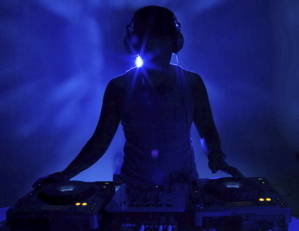 Rather it is a part of an ongoing research project exploring new ways such a 'computer DJ' could work. You can download it though if you wish (it's free) and in doing so not only get your own personal DJ but also help the researchers at Queen Mary investigating what the iPods of the future could be like. For example, one possibility is for SoundBite to act as a recommender service. Rather than just constructing playlists from your own collection, the system could find similar tracks from the whole range of its user community's music. It doesn't just know about your music afterall. That means it can suggest tracks to buy you'll like that you've never heard before. This could be based on your whole existing collection or just a single current favourite. I just discovered Fictionplane by stumbling on the song "If only". Perhaps SoundBite could have noticed I liked that kind of music and recommended it to me ages ago rather than leaving it to chance. Are there other groups playing similar music I don't know about yet? A future version of SoundBite might tell me that too. How might SoundBite do all this? - by collecting as much information as possible, with meaning, about each track. The similarity information is one source, another is from the Web services that record information like track names and allow me to copy a CD onto my iPod with all the track information. It can also use the annotations that you and I add to our collections for our own use, as well as information like the combinations of tracks people listen to alot that your iPod works out for itself. There are lots of ways the available information might be used. The question is not only which ways exist, but which ways work best. Out of all that information which combination leads to the most consistently to recommendations I agree with. How well do the playlists rate when compared with the tracks a human would actually rate as similar? Are there important features of similarity still missing? There is lots of research still to be done. The beauty of the SoundBite approach though is that it is doesn't need human reviewers. Also as soon as anyone registered discovers a new band they love, it automatically become available for recommendation to others. Better still it is all ultimately based on actual similarity of the sound and what really is being listened to, not just personal prejudices or media-fuelled hype. So signup to SoundBite. Enjoy your music collection to its full, and personally help create the future where computers really do have an ear for music.